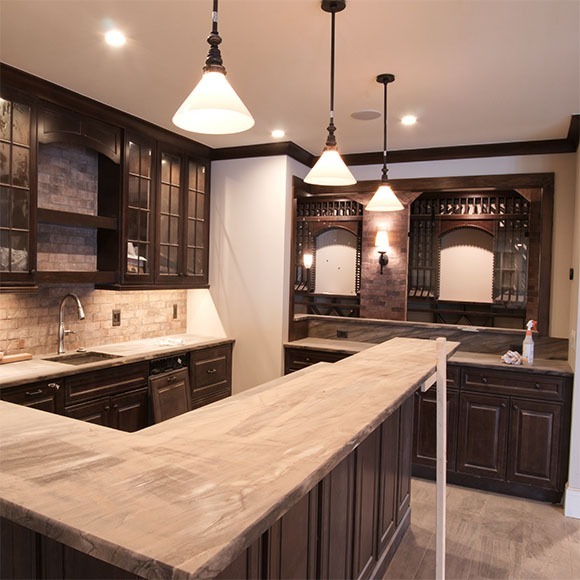 Finished Carpentry - Ingram Roofing, Inc.
We provide custom wood working services for builders and home owners. 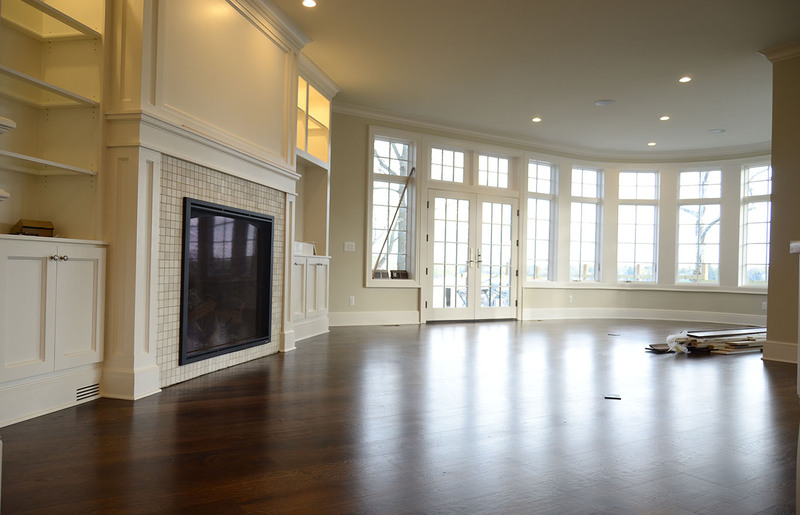 Some of the work that we do span from interior trim, moldings and doors to hardwood staircases, custom cabinetry, wainscoting and more. 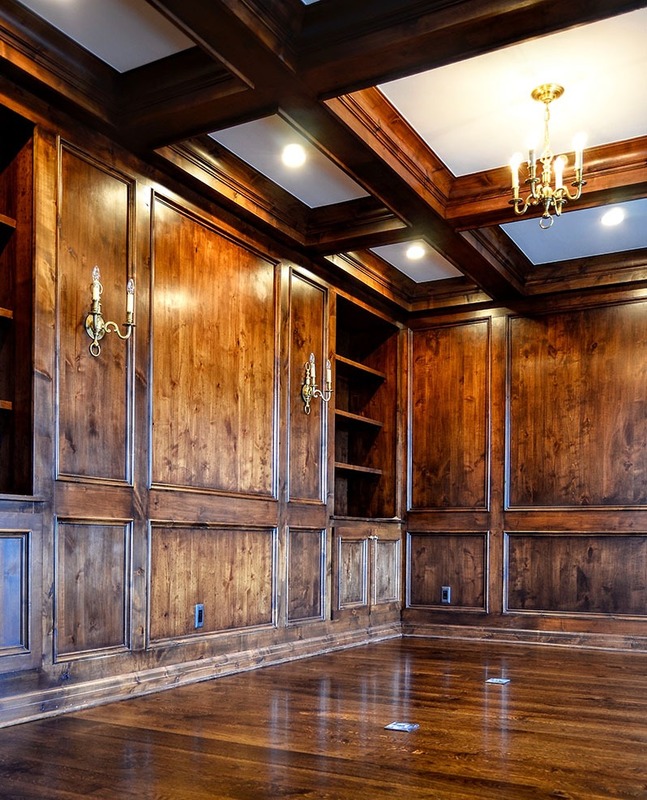 Some of our favorite projects shown here include paneled libraries and wine cellars. 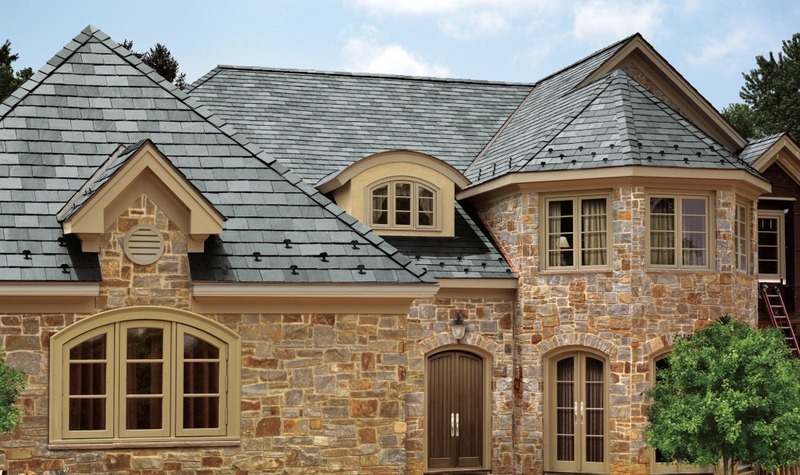 Ingram Roofing provides unprecedented professionalism, commitment to excellence and quality craftsmanship. When you hire Ingram Roofing, you hire a highly skilled team of trained professionals who care deeply about the quality of their work and the people they are working for. I highly recommend them. Amazing company! They remodeled my in laws kitchen and it’s incredible! 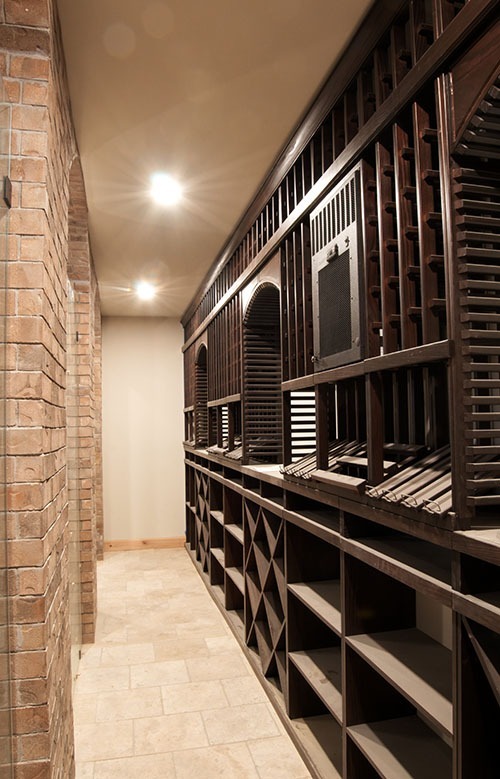 This is one of our featured wine cellar designs. 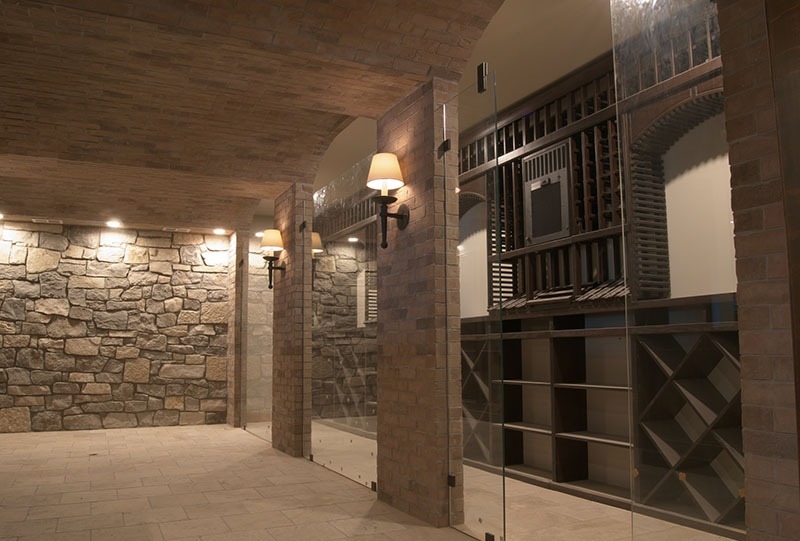 This space includes a climate controlled wine cellar with an adjacent tasting room.